Michael Holland has been making art for over 30 years. For most of those years, he has been based in Sonoma, California. Sun-drenched Sonoma offers inspiration for his study of rural landscape. 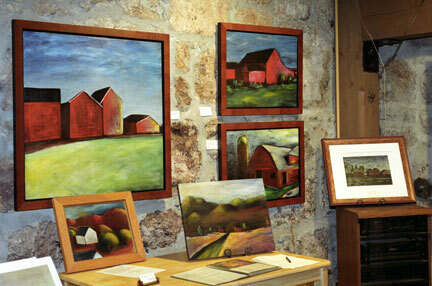 Michael began a series of paintings of farms six years ago. These deceptively simple rural paintings combine an austere geometry of composition with a rich textured surface of pure color. Michael's intense application of pure color without intention to directly mimic nature harks back to the Fauves in Paris in the first decade of the twentieth century. He creates his paintings through a series of layered glazes using a centuries' old Venetian glazing and sanding method. Within the layers are often images of something that once existed but is gone, a tree or hill. These ghostly images evidence the changing landscape of rural America. Michael received a bachelor of arts from San Francisco State University, a master of arts from JFK University and has done graduate study in the psychology of creativity at Sonoma State University. 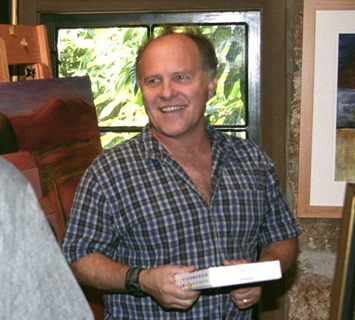 He has been the recipient of grants from the National endowment of the Arts and the California arts Council. Michael's work is collected internationally and has appeared on network television, magazine covers, CD's and wine labels. Web design by Chris Berggren and Sally Zimmerman.© Copyright 2009. All rights reserved.